by Maya Avina's CSU-Pueblo graphic design students. The art will add interest to Downtown street corners and discourage vandalism of the city-owned equipment. 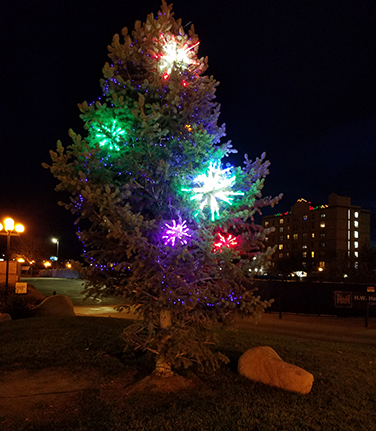 The Pueblo Downtown Association has installed a holiday lighting display in the Headwaters Plaza, featuring a 20’ “tree” near the fountain. 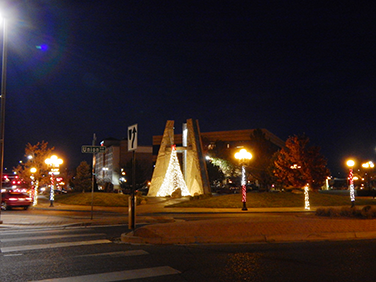 Additional decorations for the Plaza include lamp posts wrapped with red and white lights in a candy cane pattern, decorated evergreens and deciduous trees wrapped with white lights. 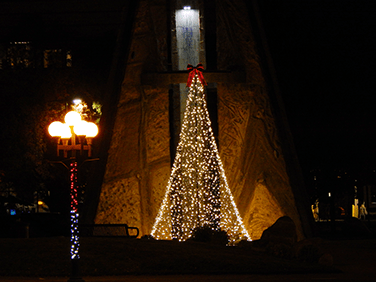 The project was spearheaded by board member Mike Carlisle and Southern Colorado Holiday & Event Lighting. This display adds to the decorations on light poles in the area between City Center Drive and 10th Street on Santa Fe Ave, Main Street, Court Street and Grand Avenue. All decorations were purchased by the Pueblo Downtown Association through fund-raising activities. Black Hills Energy has graciously provides their employees to handle installation of those decorations. 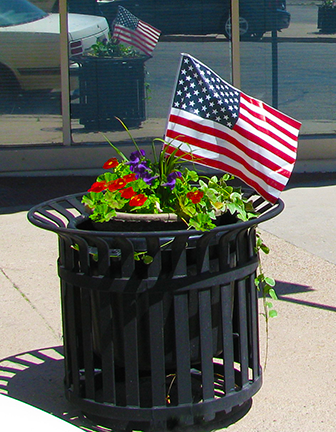 It has been a goal of the Pueblo Downtown Association to keep the area looking festive and well cared for year round and especially during the holiday season.